We build premium WordPress themes and innovative plugins, trusted by thousands of clients worldwide. 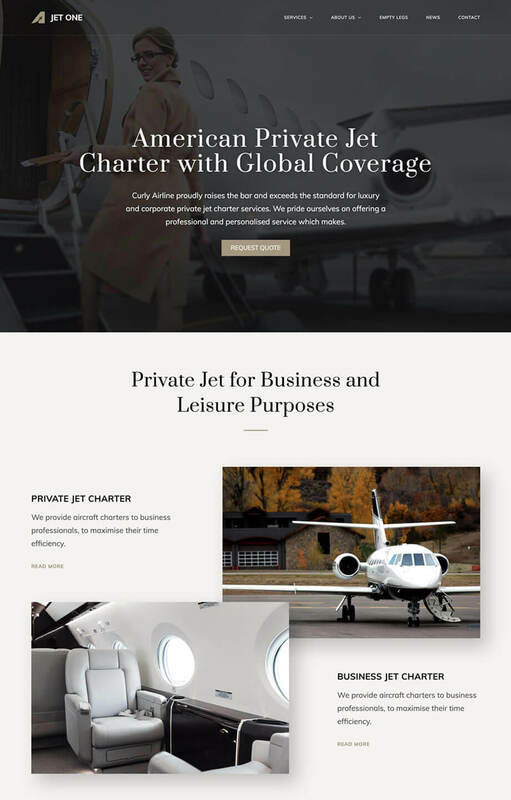 The first WP theme dedicated to private airlines, Jet One will showcase your fast and comfortable charters. Live Demo $69 Buy Now! With a clean and classy display, Art Gallery WP theme is the perfect framework for your masterpieces. Packed with dedicated features for medical websites, Dentist WP helps you bring a smile to your visitors faces. Live Demo $59 Buy Now! The complete solution for cultural websites, Theatre WP is the number one theme on the market dedicated to performing arts. With a modern and elegant design, Pirouette is the perfect choice for dance studios and other dance related activities. Live Demo $64 Buy Now! With a simple but efficient one-page structure, WeChange helps you change the world one petition at a time. Live Demo $49 Buy Now! A visually rich WP theme, Leisure is our premium solution for clients who wish to showcase their beautiful hotel. The most popular WP theme for horses, Equestrian is tailored for riding stables, associations and other similar businesses.